Mats are both traditional and modern, used for different purposes – they have served as floor covering, decorative ornaments, sitting furniture, and as wall covering in ancient cultures around the world. Tatami is a word used for a type of mat used in traditional Japanese rooms as a flooring material. Japan experiences humid summers, and the design associated with Tatami mats help create an airy, traditional, and comfortable environment that is most suited to the climate. What Is Tatami and What Does It Represent? Tatami is a word derived from the Japanese word “tatamu” which means “to fold or pile,” a verb associated with what you do with a mat – in this case, the tatami mat. A room where tatami mats are used can be called a Tatami room, and it highlights the traditional Japanese culture and lifestyle, which is sleeping and doing other activities on the floor. The tatami mat has a covering made of rush grown in the fields of Japan specifically for tatami. This rush is called “i-gusa” where “i” means grass. In addition to that, the rush covers a core of rice straws. Tatami are revered in Japan to the point where it is sacrilegious to wear any shoes on them – this brought about the culture of not wearing any shoes on a tatami floor, which is observed until this date. There are correct and incorrect ways of laying tatami mats, which are termed auspicious or inauspicious. It is auspicious when the mats form T-shapes with the edges wherever two or more Tatami mats meet, which represents good fortune. This is important and as such, having the four corners of the tatami mats come together is avoided because four is seen as an inauspicious number and believed to represent bad luck or death. So, that is why a lot of care and precision is done when the tatami mats are laid. 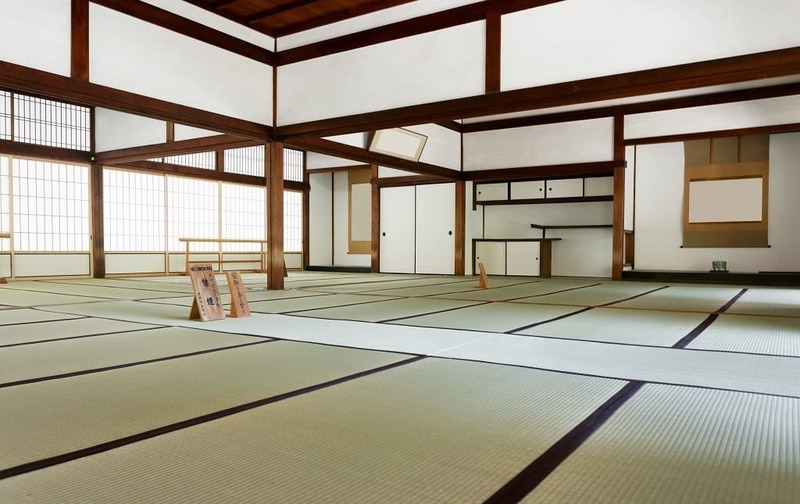 In Japan, a room is measured by the tatami mats used – standard sizes like 16, 12, 9, 6 or 4 ½ tatami rooms. 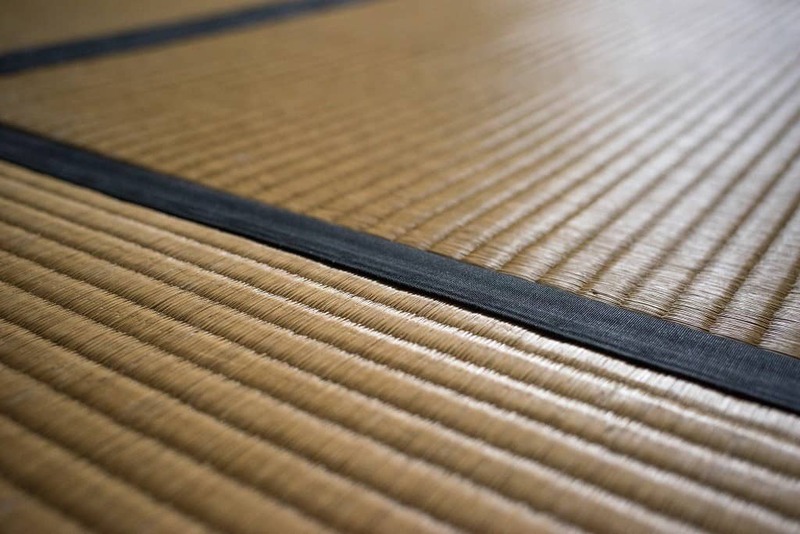 The tatami mats are sized variously in different regions of Japan, with a general thickness of 5.5cm or 6.0cm. It is 0.88×1.76m in Tokyo, 0.91x 1.82m in Nagoya, and 0.955x 1.91m in Kyoto. Shops use a standard of five and a half mats, while tea rooms use a standard of four and a half tatami mats. Whatever the age of a tatami mat, it radiates a pleasant scent. The old, yellowed tatami mats usually have a muskiness of dry hay associated with it, while the new tatami mats smell fresh and strong with the woodsy fragrance of the woven green rush that makes the covering. Tatami was mentioned in Japan’s oldest book called Kojiki titled Record of Ancient Matters written in 712, meaning these traditional mats existed in the Nara era, which was a period that spans between the years 710-794. The nobility and the elite used it as seats for their guests, laid on the wooden floors in the Heian period of 794-1185, where the social position of the noble was used to determine the thickness and design of the tatami mats used. The shoin-zukuri was characterized with the tatami floors, shoji partition, which is the rice paper screens representing walls, square shaped pillars, and coffered ceilings. The Nishi Hongan-ji built in 1602 in Kyoto carries this interior. 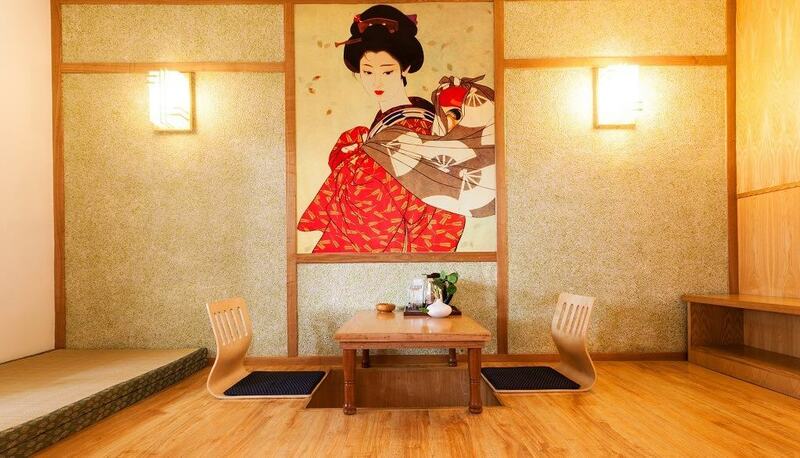 The first tea room to feature tatami mats was the one built by Sen no Rikyu who popularized the ‘wabi-sabi’ – the idea of beauty in simplicity. Sen no Rikyu used two tatami mats for his small-sized rustic tea rooms, which were built in the 16th century. During the Edo era, the use of tatami that was associated with nobility started to spread, and commoners who were only allowed to seat on bare floors began to use it publicly. However, in the Meiji era, on the other hand, it became widely used with no restrictions. Westernization has also influenced the spread of tatami and brought it to a low over the last 150 years. Now, most homes just have a ‘Washitsu’, which means a Japanese-style room where the tatami mats are used with all other cultural Japanese accompaniment. 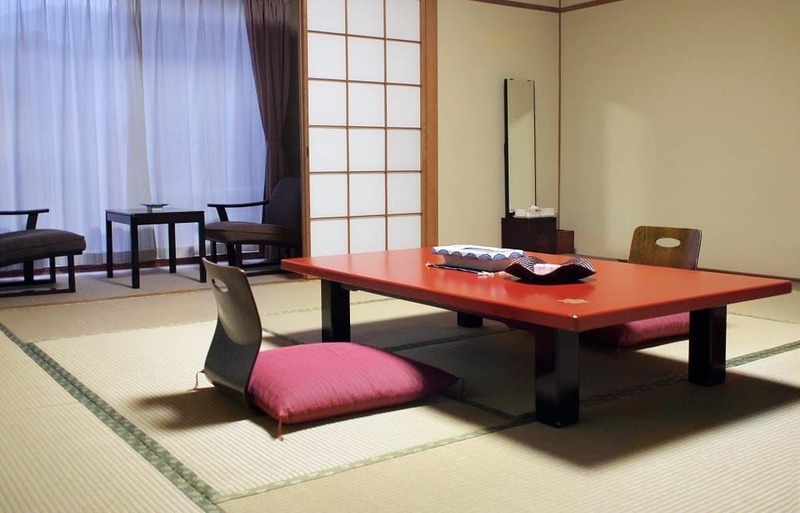 The decrease of the use of tatami can also be attributed to the fact that it is difficult to clean, so people opt for a more modern option, but are still patriotic enough to have a tatami room in their residences. Other modern uses of tatami mats are interlocking carpet tiles used in commercial gyms as a grappling mat. There are also very popular tumbling mats for various gymnastic sports, interlocking puzzle mats, or play mats used in residential homes. They also come in different color options. In martial arts dojos, tatami mats are also held in high esteem. 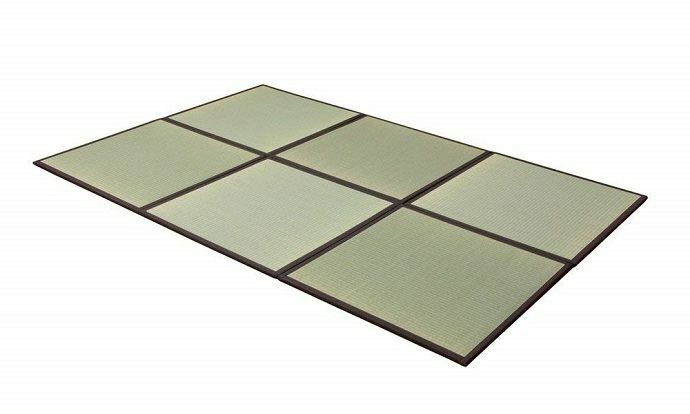 The tatami sport tile is one of the new martial arts mats, covered with a tatami no-burn surface. 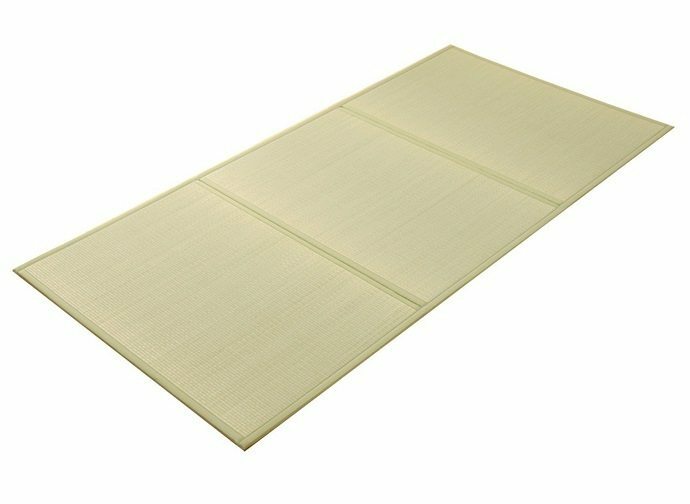 What Is Included in Tatami Surroundings? Of course, in a tatami room, one of the main things you will find is a tatami. The ones you will find in Japanese tatami rooms are all made of the same high-quality materials, which makes every tatami in the room uniform and soft as well as a have a life expectancy that is quite high. Especially with the right care, a tatami mat can last for years. Tatami flooring is the use of tatami mats as a floor covering – in this case, more than one mat is used to cover the entire room. Sandals or any shoe covering are removed before entering a tatami floor covered room. However, tatami sandals may be used on the floor because they are made of the same materials, but they are very rare. 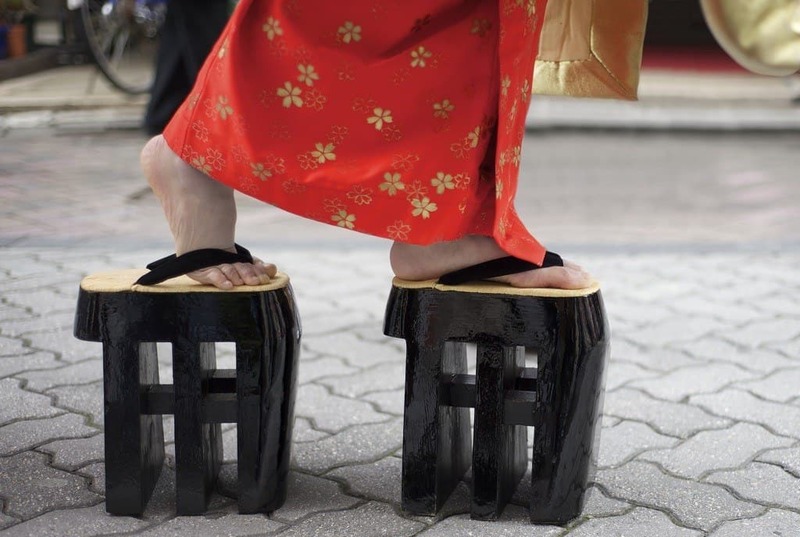 Uwabaki – a Japanese slipper – is usually worn indoors where street shoes are prohibited. The tatami straw core is pressed tightly together, therefore, it stores a lot of air in pockets, making it effective in absorbing heat. Studies by Japanese scholars reveal that tatami mats can also absorb approximately 500cc of water from the air. This makes it a good regulator of any room where it serves as flooring because when the atmosphere is dry, the absorbed water evaporates. This mat is the main focus of a tatami surrounding, with rice straw centers and overlays of woven tatami rush that are laid all over the tatami room in a particular auspicious manner. These mats have evolved over the years and are used as wrestling mats, tumbling mats and martial arts mats in present times. However, they are traditionally still used in Japanese-styled architecture and interior décor for seating, sleeping, and other life activities. A full-sized tatami mat is referred to as a ‘kyoma tatami,’ which is what it is called in the Kyoto region of Japan. The tatami mat that is half the size of a full one is termed ‘hanjo’ and a three quarters length tatami mat is called a ‘daimedatami’ – all with its varying uses. 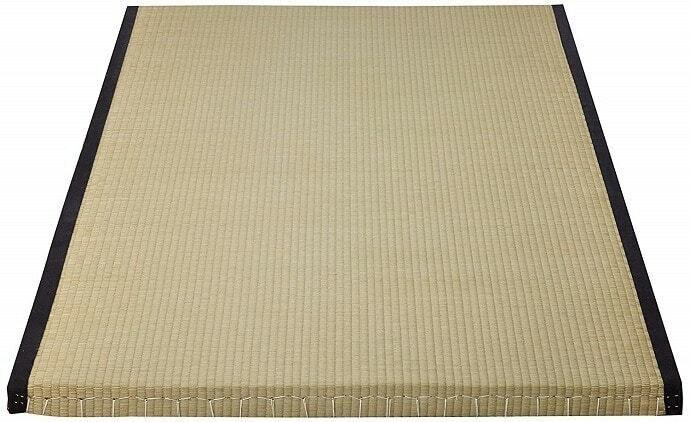 Additionally, some tatami has edges of brocade, plain cloth, or no edging at all. Tatami mats also make the best wrestling mats because the surface is soft to the touch and reduces mat burns for many in the grappling and martial arts industry. It is used for many eastern-inspired sports as well, such as judo, jiu jitsu, taekwondo, Bjj, Aikido and Hapkido. The tatami mat is reported to have some health benefits – the soft rushes that make up the tatami covering, according to Chinese medicine, calms the human spirit. The scent of the tatami, either old or new, is said to soothe the soul and give a relaxing feeling to the body. A tatami room is made up of a tatami mat and probably houses a tatami bed, as well, with a shoji, which is a translucent sliding door, a ‘tenjo’ , which is a coffered and decorated ceiling, and other types of Japanese furniture. 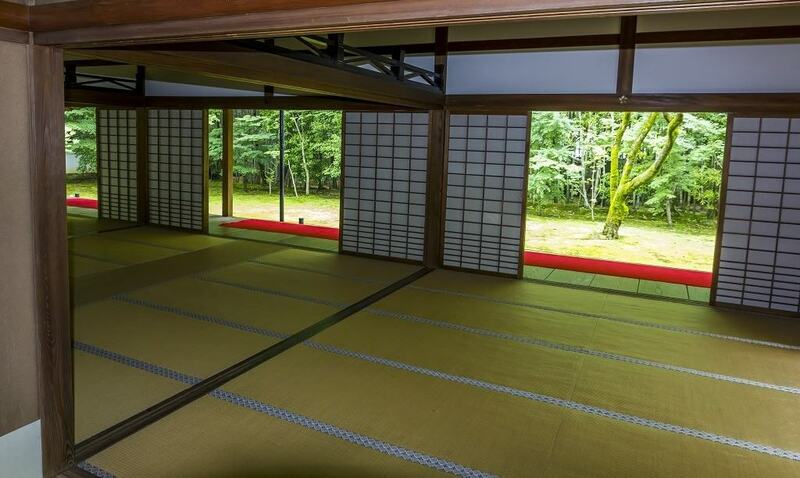 With the futon folded away at daylight, the tatami room is then used to host visitors, perform tea ceremonies, or to suit various religious purposes. Tatami sandals, also known as Zori sandals, are Japanese footwear that are usually used in the dojo. It’s made in different styles, namely the Y Style Tatami Sandals, which is more traditional and can be either used with split-toe socks or barefoot, while the other is called the X Style Tatami Sandals, which can be used with normal socks. This is a platform bed designed with insets for the tatami mat to be laid. It is a Japanese bed for most of the time, but contemporarily the bed is used with a bed foam and mattress. The tatami bed comes in different styles and sizes, and it is usually made of a cross grain corner joint, which are easy to assemble. Because of the low tatami chairs used for sitting, a low table is the perfect match, ideal for a buffet of sushi and seafood that usually accompanies the traditional Japanese tea ceremonies or for entertaining guests. 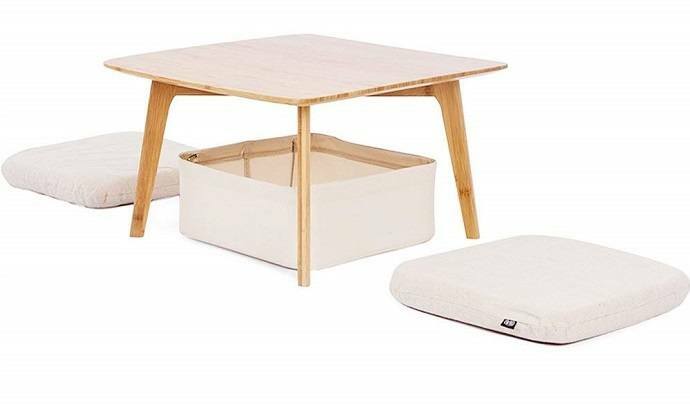 The low tables are made of sturdy dark wood and called ‘kotatsu’ – they can be heated from underneath the table during the cold seasons and can be covered with blankets. Tatami chairs are handcrafted and designed to be used on tatami mats for study or meditation purposes. 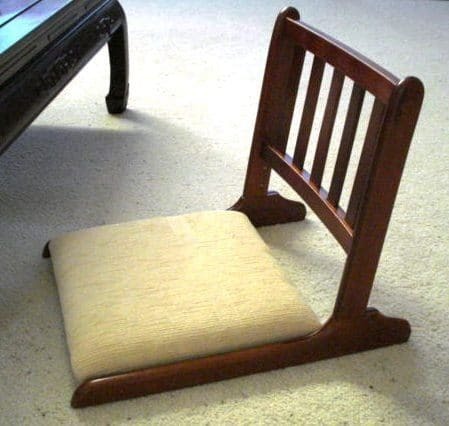 It is called a ‘zaisu’, and it is legless, but has a backrest for back support. More traditionally is the ‘zabuton,’ which is a large and flat cushion that can be used by itself or on a zaisu. Japanese etiquette demands that you do not step on other people’s Zabuton, but yours. These are staggered wall shelves used in order to display beautifully decorated vases and incense burners—it is usually beside the alcoves and built into the wall. The tsukeshoin, on the other hand, is a built-in desk found under the window on one side of the room, and it is used primarily as a study desk. 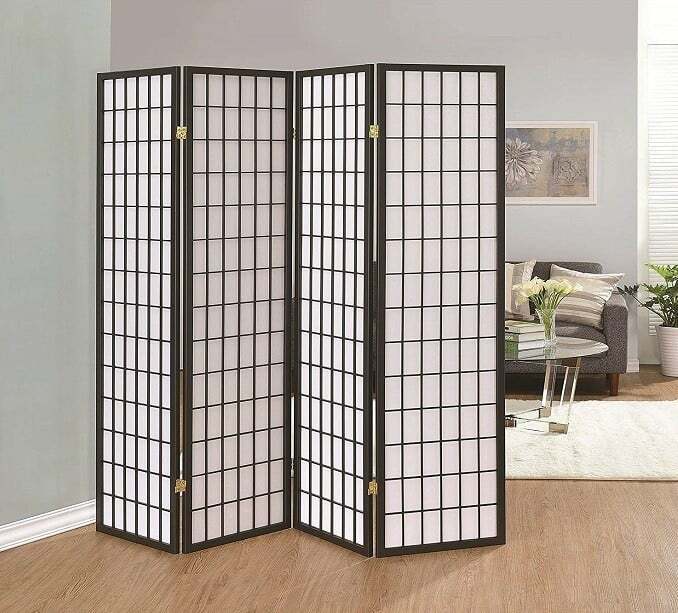 Traditionally called ‘Byobu,’ these are foldable partitions arranged in a zigzag pattern without any support or ‘Tsuitate’, which are single panels with leg support. Some are painted or plain, but they serve the purposes of creating privacy or dividing a room as a temporary wall. They are made in various sizes and designs, giving you lots of choices. An alcove is a recess in the wall, and it can be used to hold decorations or to simply just keep things. The ‘Tokonoma’ usually carries a traditional scroll that has important writing, but it can also hold vases and flower arrangements. The decoration in the alcove is done to reflect each season, and a guest is honored when seated near a Tokonoma. These are wooden-framed doors made of opaque paper, which serves as a canvas for elaborate paintings found in palaces and temples, or for very simplistic designs. In other homes, they can be let plain, but the fusuma serves to separate adjoining rooms, giving the option of partitioning or combining two rooms to one big room by opening them up – depending on the need. 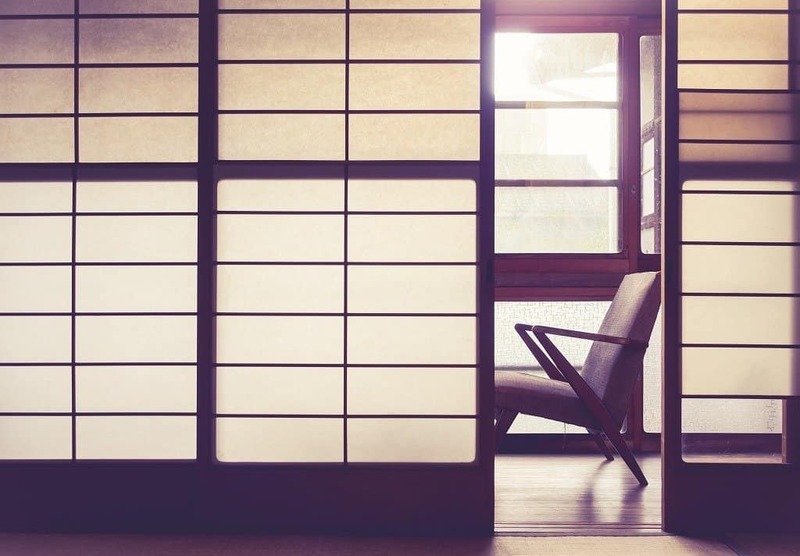 The ‘Shoji’ is also a sliding door with translucent paper and made with wooden lattices that form small rectangles all across the length of the door. Temples and other important rooms used for big events and receptions usually feature ceilings that are raised higher than the wood panels, coffered, and elaborately decorated with paintings. On the other hand, in basic and regular rooms, the ceilings may be flat and plain. Above the sliding doors seats the transom, which has intricate designs or hollow patterns, allowing more ventilation, air and light. Some of these Japanese-styled rooms – particularly in tea houses – may not have windows, so the transom serves as a window and skylight to ensure aeration between the rooms. Tatami gives an ambiance of relaxation and peace of mind, which makes it ideal for temples, religious areas, and personal residences. Although expensive and difficult to maintain, they would not need to be replaced for ten to twenty years of use, so their money’s worth would have been recovered. Regardless, they represent the Japanese culture and tradition very clearly. Photos from: ivylingpy / depositphotos.com, iconogenic / depositphotos.com, Knet2d / depositphotos.com, zhudifeng / depositphotos.com, cozyta / depositphotos.com, susanoo / depositphotos.com, combodesign / depositphotos.com, viteethumb / depositphotos.com.